Personal injury attorneys were in the news in April, but not for high profile litigation. They were in the news for committing high profile crimes. In early April, one personal injury attorney was charged with DWI manslaughter, failure to render aid, leaving the scene of a crash involving a death, and tampering with evidence. The man had spent a reported $350 on over 20 drinks at a local Miami bar before jumping in his car and proceeding to drive home. On the way, he hit a pedestrian who was found dead at the scene. The man drove away from the scene leaving the young woman to die. Another personal injury from Boca Raton was sentenced to 21 months in prison after being convicted in an insurance kickback conspiracy with tow-truck drivers and chiropractors. The man was accused of stealing over $23 million in an insurance fraud scheme. He was paying tow-truck companies to refer clients to him. He would then require his clients to receive multiple treatments from chiropractic clinics. He would run up a tab with the chiropractors then gouge the insurance companies for money. The big problem with offering a sound defense to a defendant like the driver in the first case is that after he had tragically hit the unsuspecting woman, not only did he not stop to at least call an ambulance, but he spent the next day having his windshield repaired, which is why he was charged with evidence tampering. He then claimed that a stray coconut was responsible for the damage. Often times, those who are guilty of driving under the influence have a serious problem that they’ve lost control of. Defense attorneys can usually explain this to judges and prosecutors and negotiate leaner sentences using the promise of attending a rehabilitation program as a bargaining chip. In other words, most folks charged with DWI do not have the intent to harm or injure, and they feel remorseful for if they do so. It will be difficult to make anyone believe that the driver was remorseful. Even if the driver had not intended to injure anyone that night, he did intentionally try to cover up the accident. They say that lawyers are the worst clients. That’s especially true if your client has been reprimanded and suspended by the bar several times, then accused of manipulating the law in order to pad his own coffers. That is not a wise or advisable way to practice law. 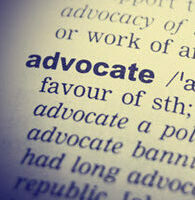 Nonetheless, an individual who attempts to defraud insurance companies is also entitled to a defense. The problem is that insurance companies are remarkably suspicious of just about every claim they pay out on. They also staff teams of lawyers who are ready to pounce at a moment’s notice. Personal injury attorneys are well aware of this, yet this one believed he could pull the wool over their eyes by running up chiropractic bills for his clients and then taking kickbacks from the chiropractors. In other words, he was double dipping. It’s a crime referred to as patient brokering. In a case like this, you have to hope for some procedural error, or that your client’s cooperation will help them secure a more lenient sentence. If you’ve committed a crime, the last thing you want to do is make it worse by compounding it more crimes. Instead, call a skilled defense attorney at the Skier Law Firm, P.A of West Palm Beach. We will help you resolve your case as painlessly as possible.